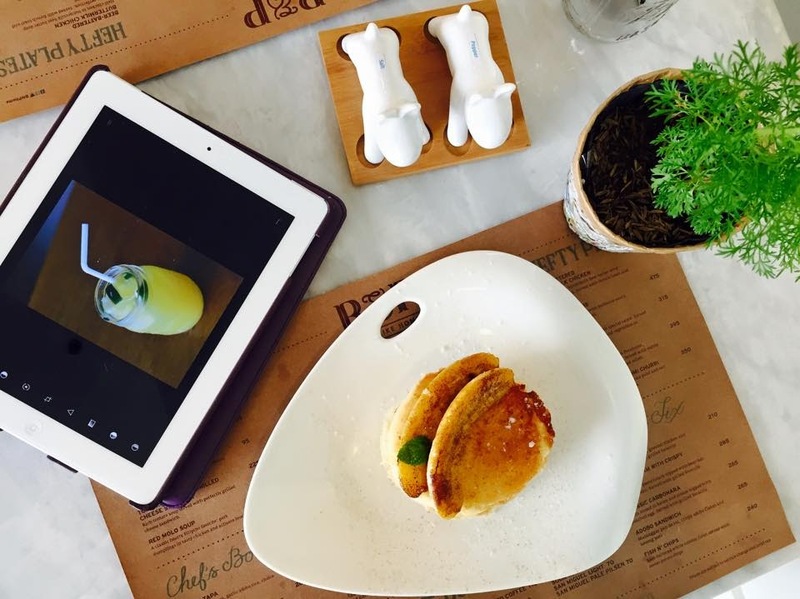 This newly opened restaurant is worth visiting. 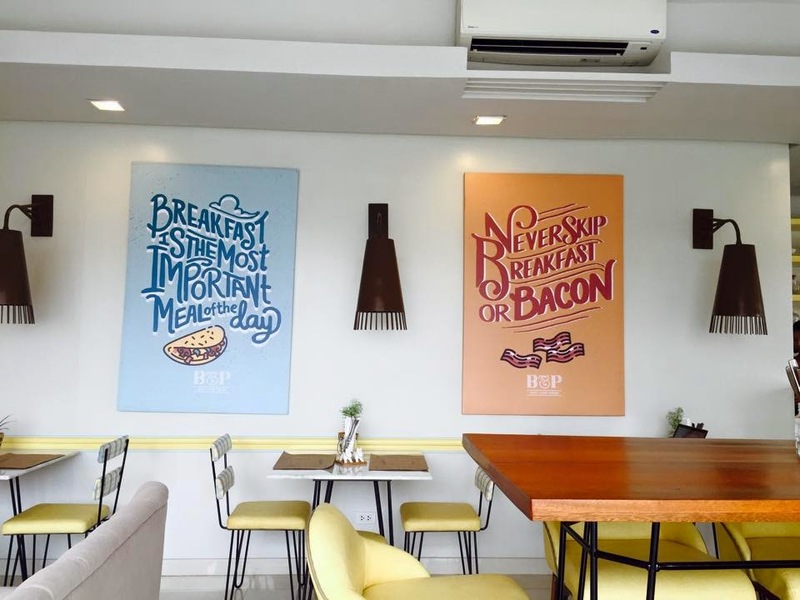 B&P (Just Like Home) serves food that that will really make you feel- "just like home." 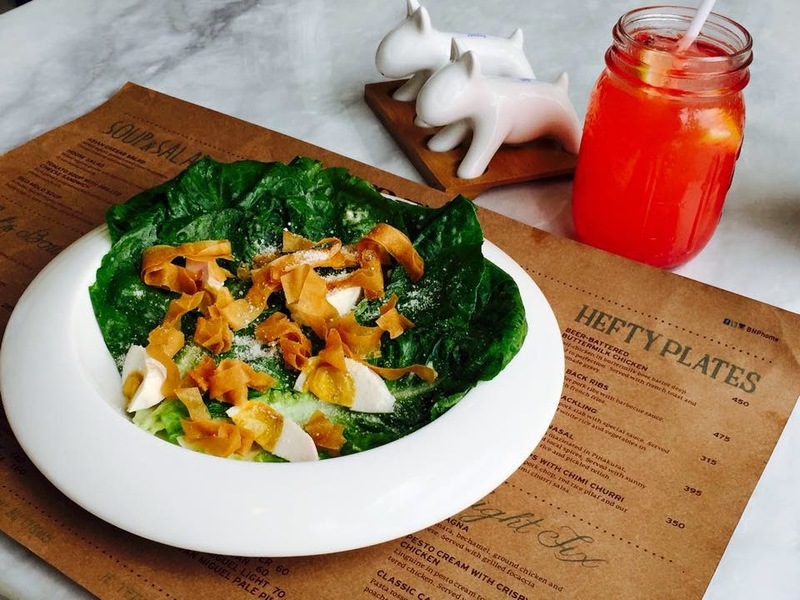 Asian Ceasar Salad, P195. tinapa dressing, fried wonton wrappers, salted eggs, parmesan. What strikes me the most is the tinapa dressing. I was a bit hesitant to taste this because I am not fond of tinapa. The dressing doesn't have the fishy taste of tinapa nor the "bones" but instead, it gives off a milk salty tinapa taste that blends well with the other ingredients that you'll forget that it has tinapa in it. Another favorite here are the crispy wonton strips. 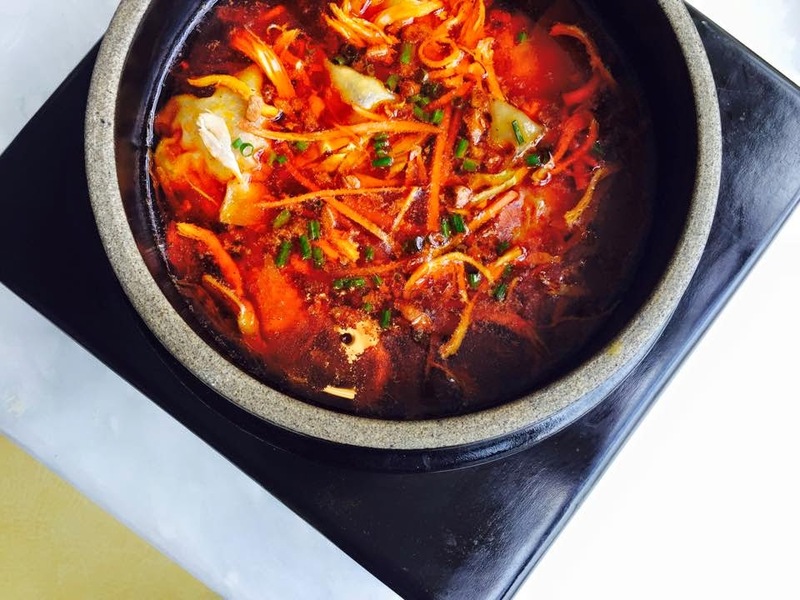 Red Molo Soup, P175. 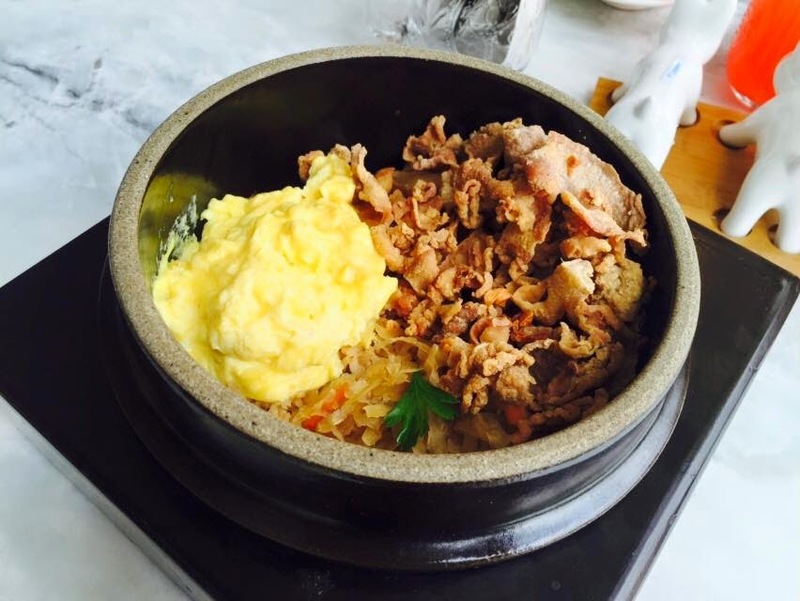 When I first saw this dish, I thought they're serving something Korean (blame the earthen bowl)- haha. Anyways, aside from the molo, it also has sotanghon noodles. The broth is flavorful and perfect energy booster soup. 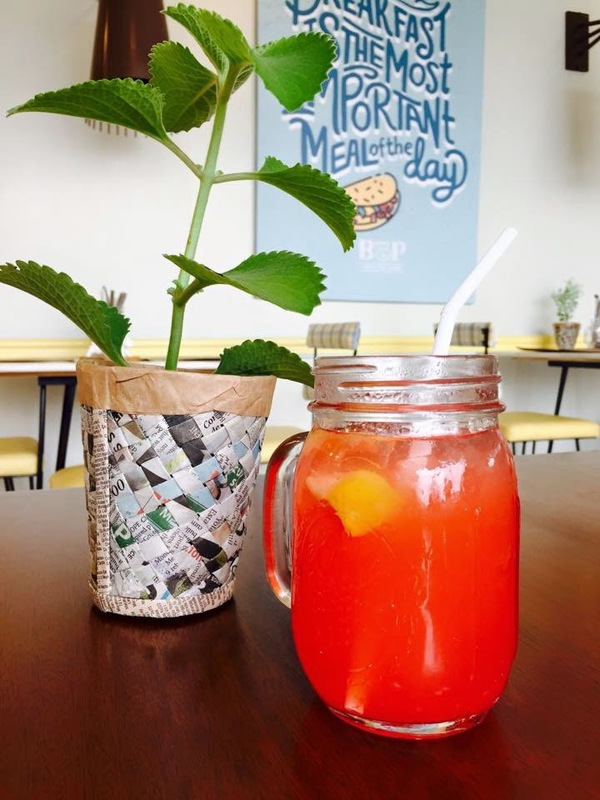 Strawberry Lemon Quench, P140. Fruity thirst quencher. Lime Lemon Mango Cooler, P140. 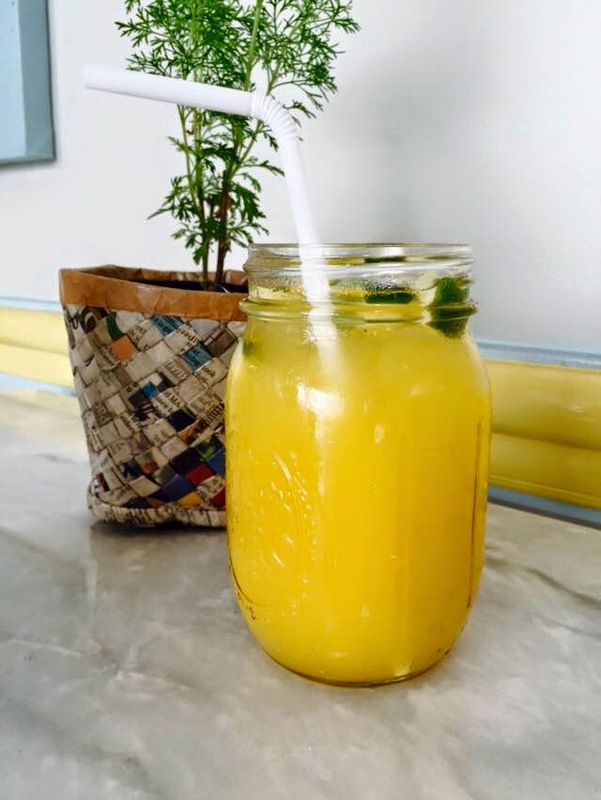 I love this refreshing drink with just the right blend of lime, lemon, and mango that doesn't overpower the flavor of each other. Best to drink it super cold though especially this summer. Mang Benedict's, P285. malunggay pandesal with longganisa patty. 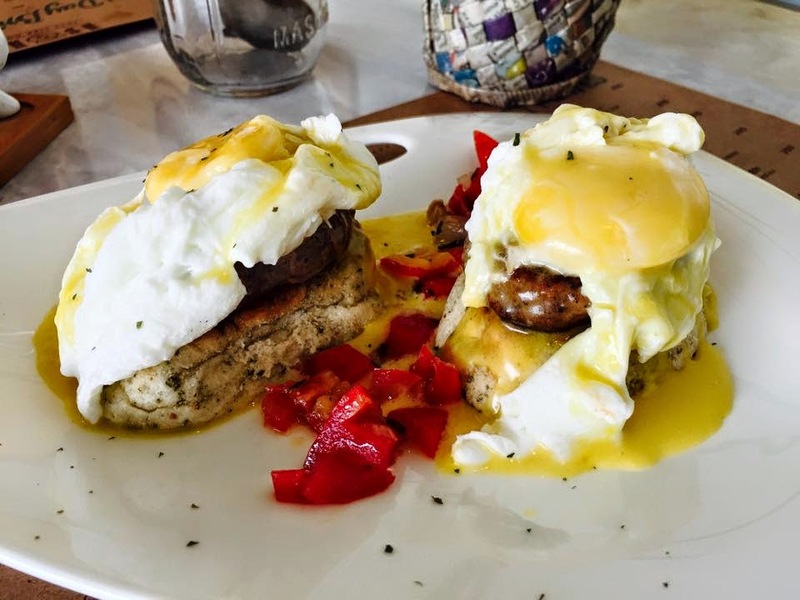 A nice twist to egg benedict. What I like most is the longganisa patty; tastes so good. Thumbs up! 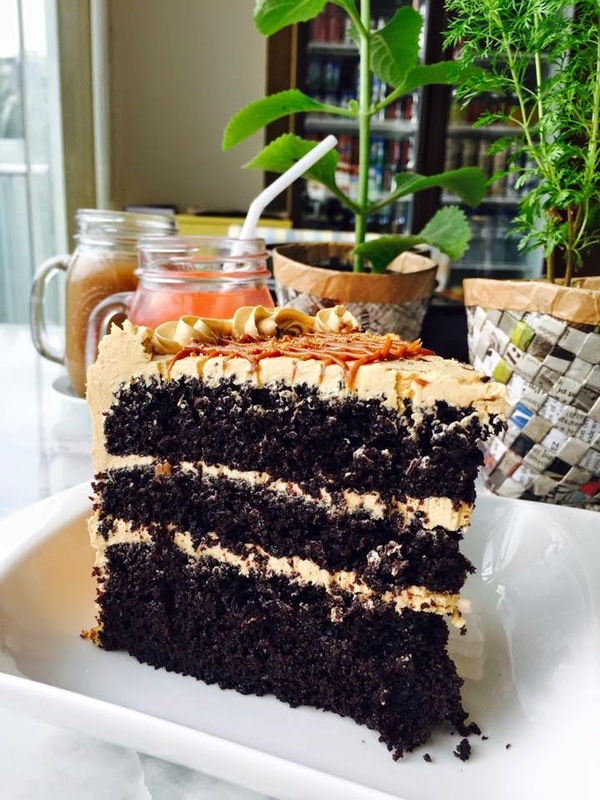 Salted Caramel Cake, P250. This is a gargantuan slice of cake that can be shared by 2-3 pax. The cake with the "wow-factor." Can't help but exclaim "wow" upon first bite. So caramel-y delish! 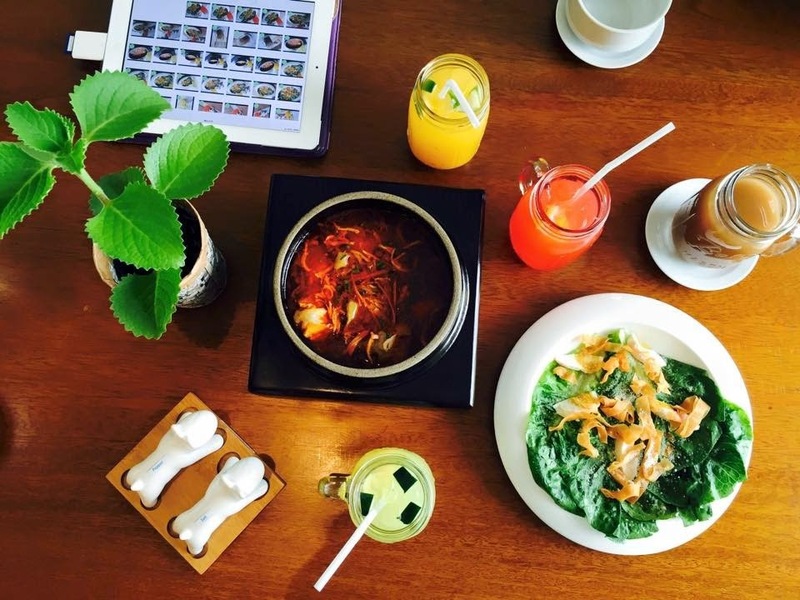 The restaurant's interiors are also very relaxing and friendly.